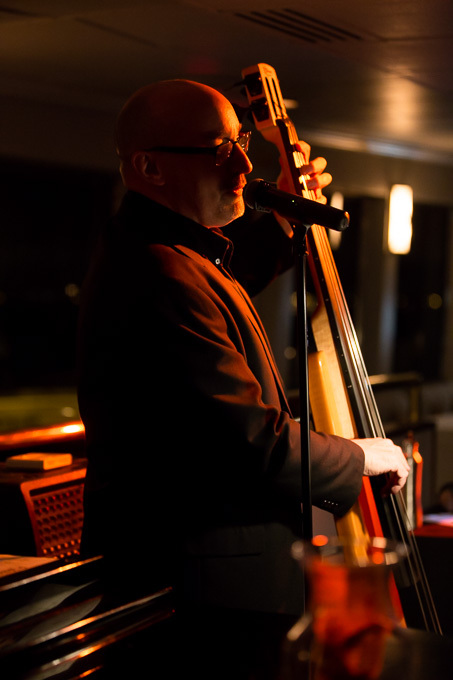 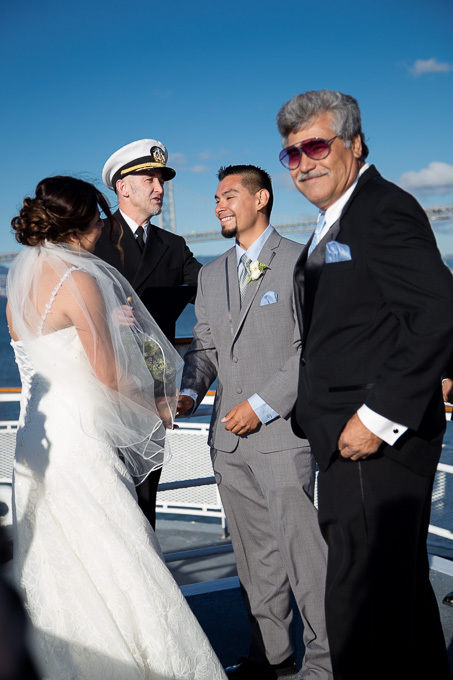 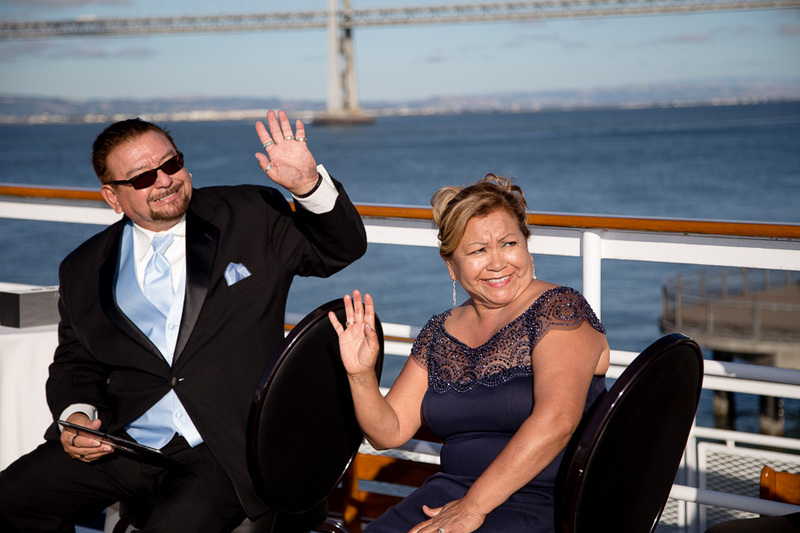 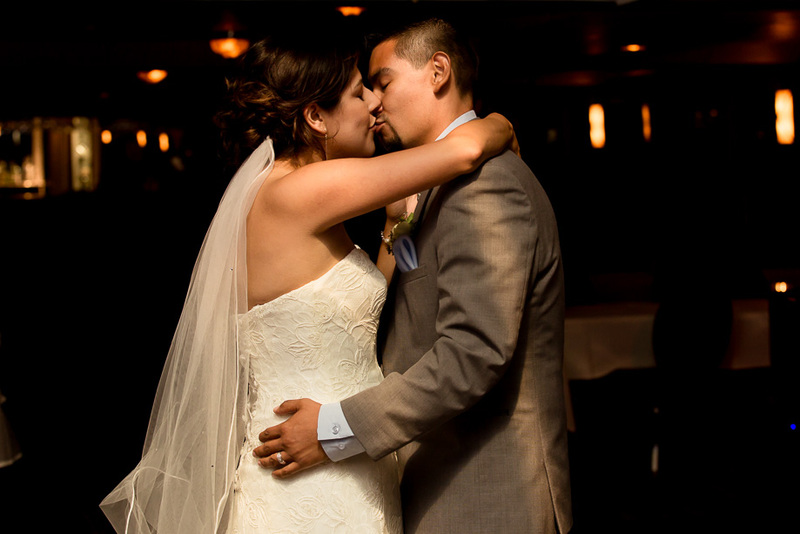 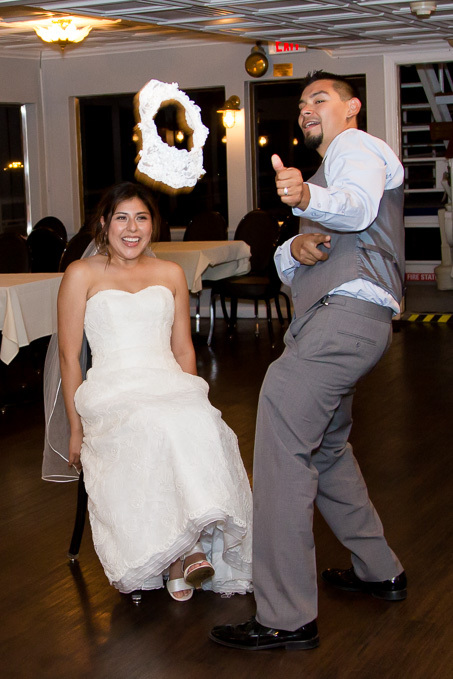 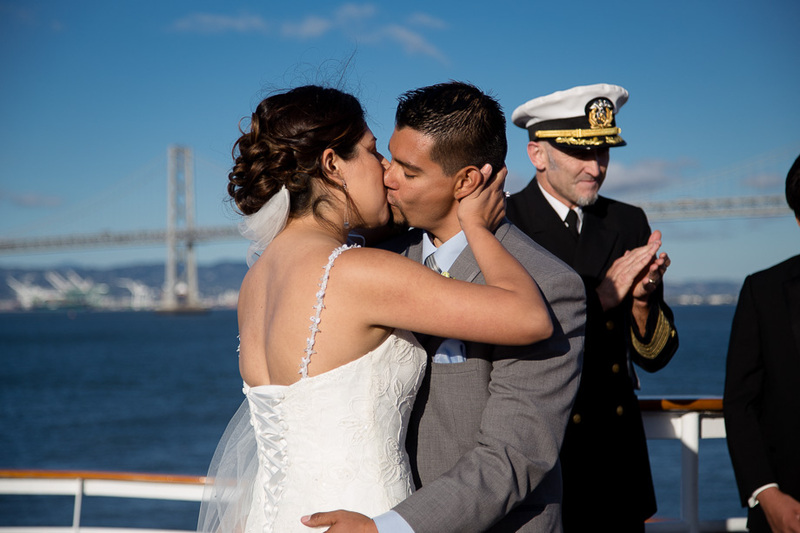 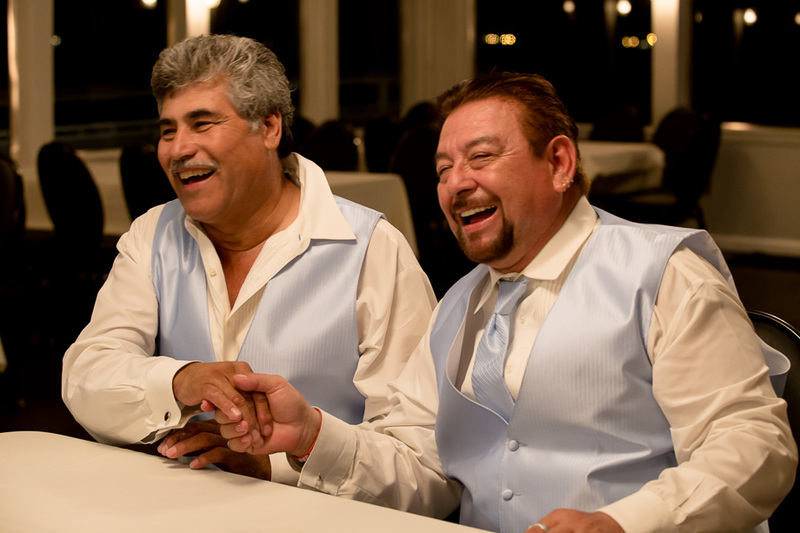 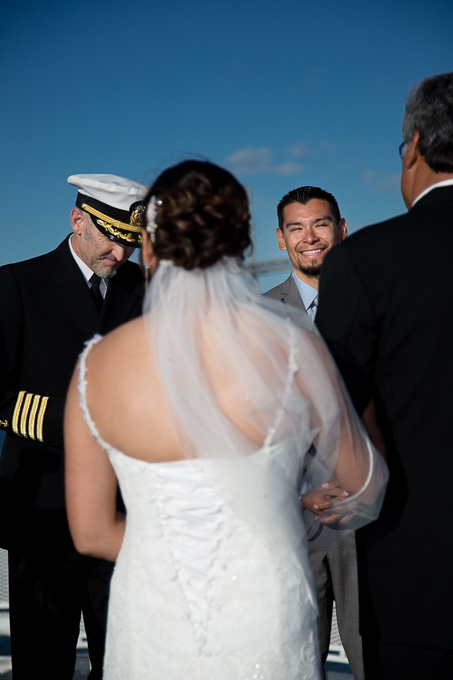 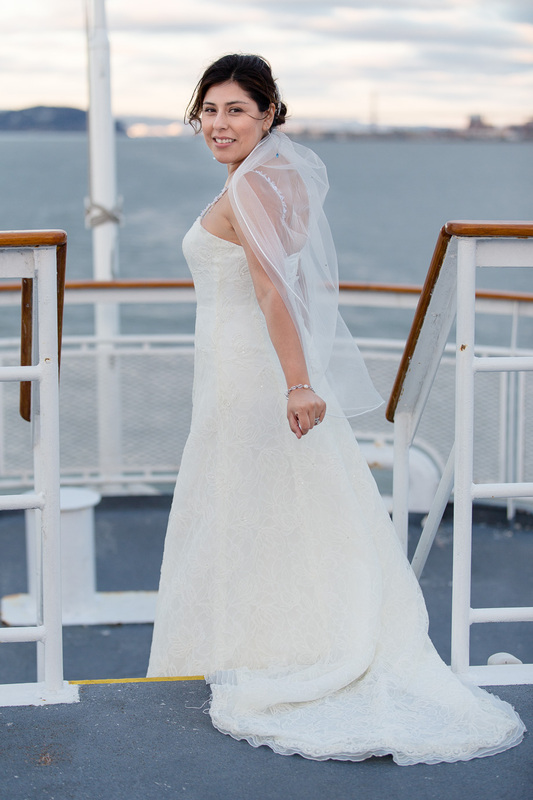 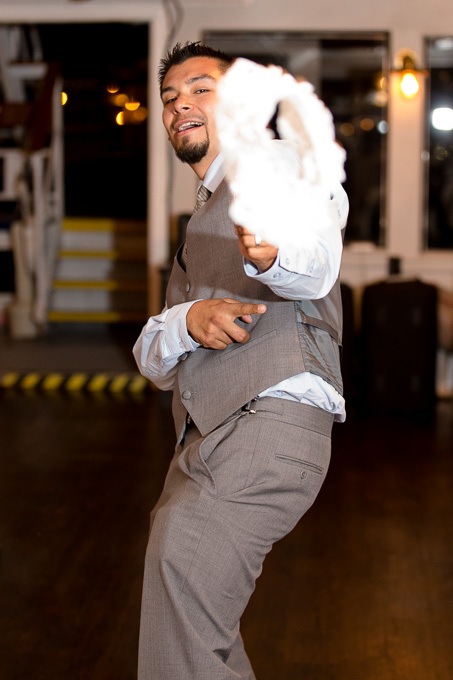 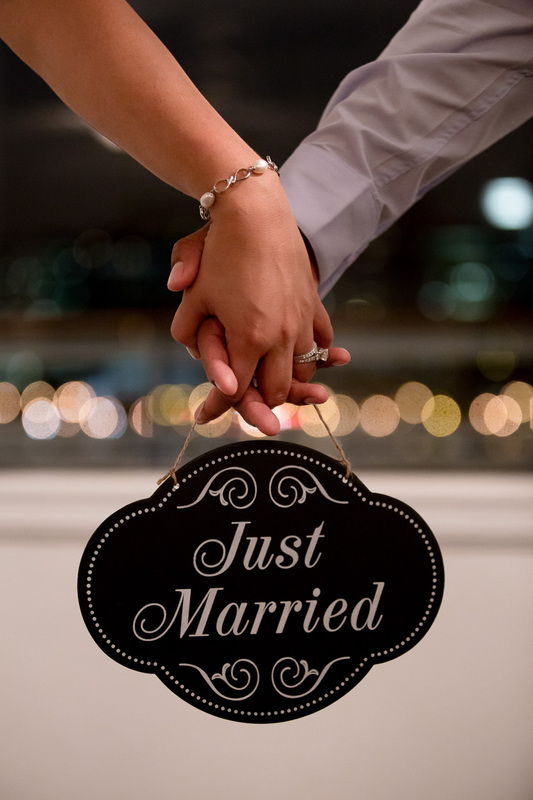 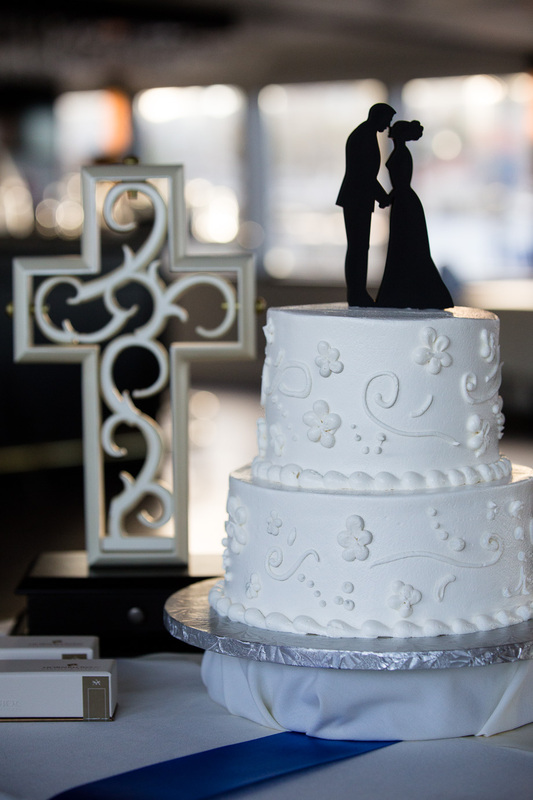 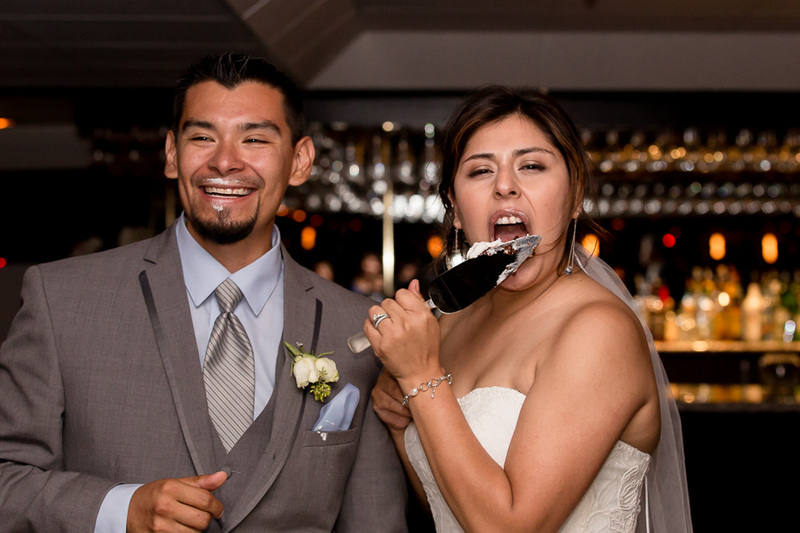 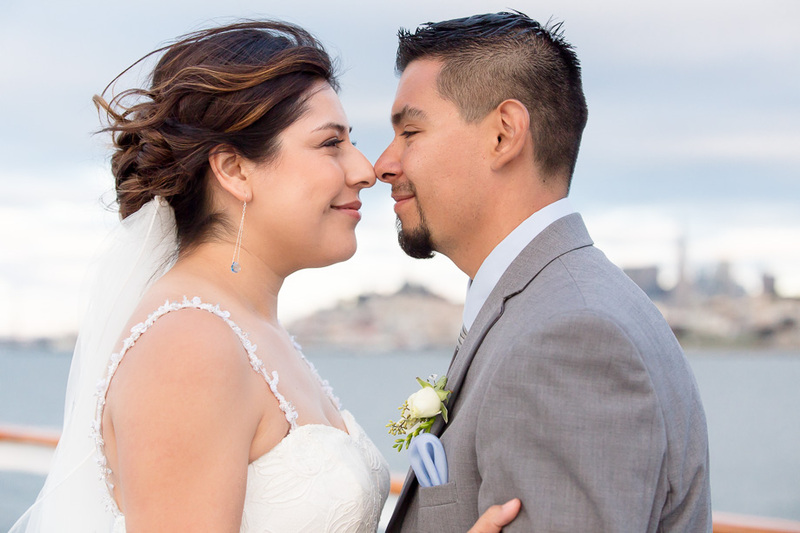 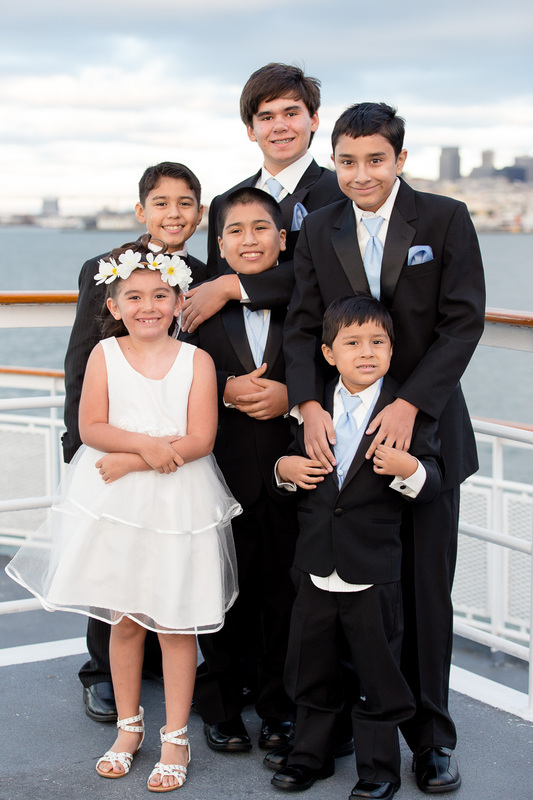 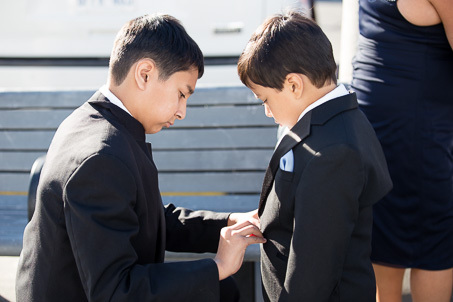 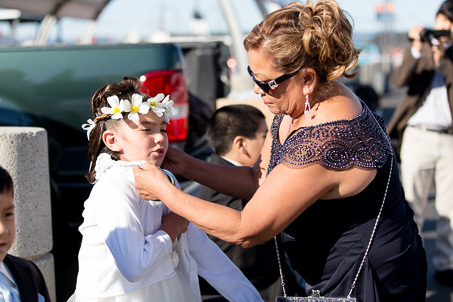 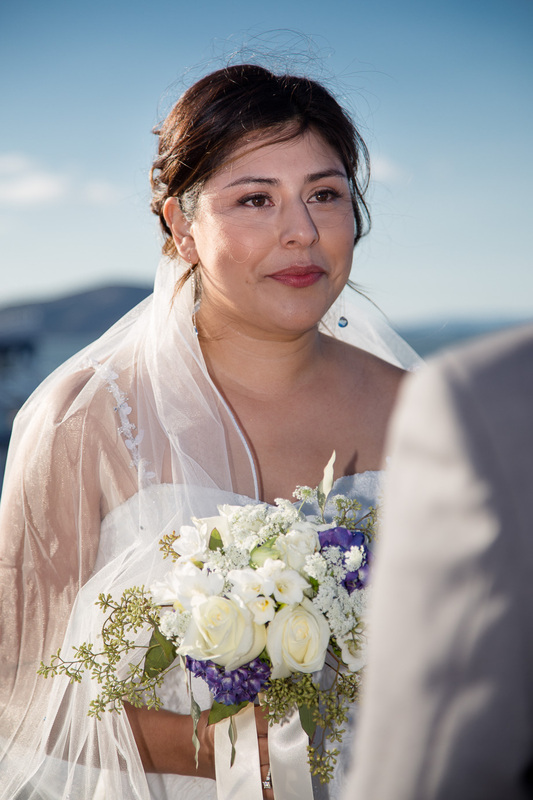 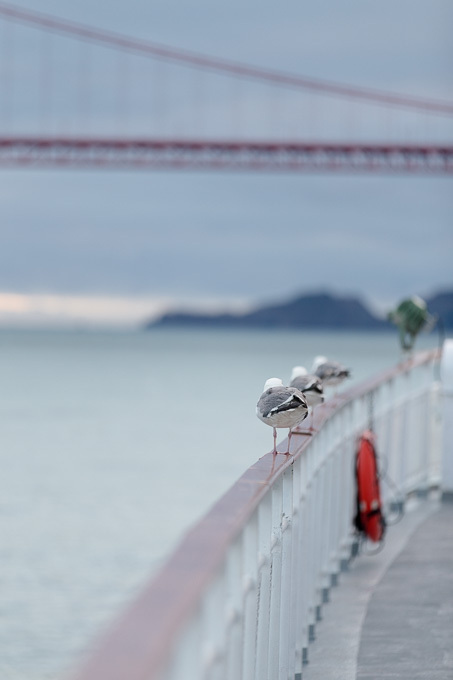 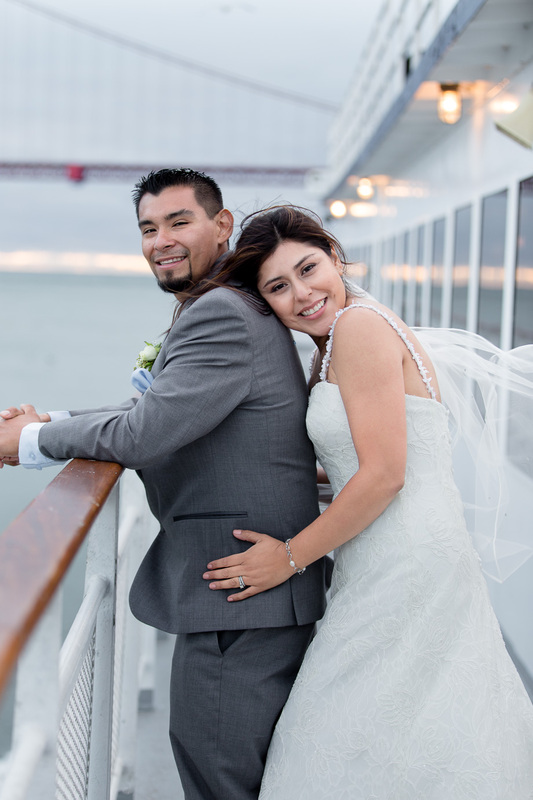 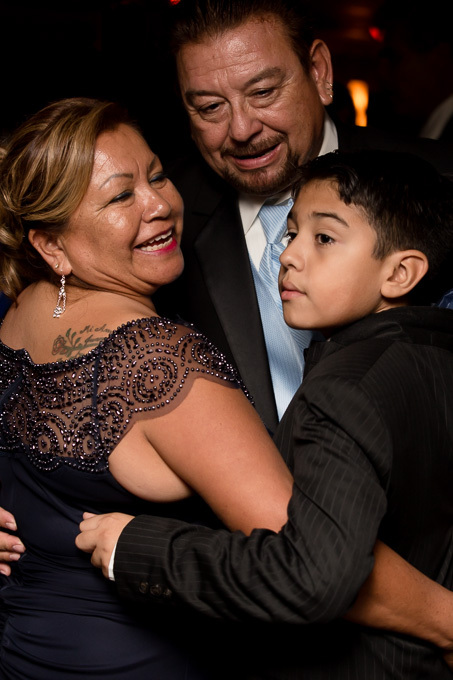 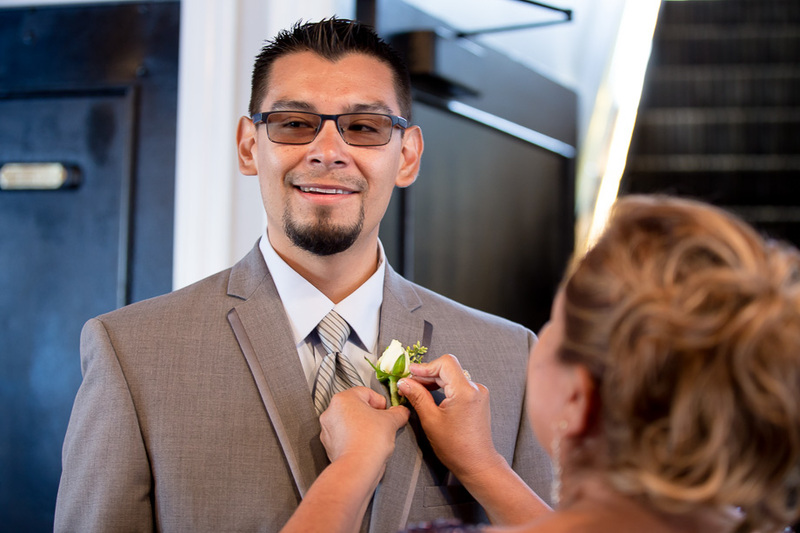 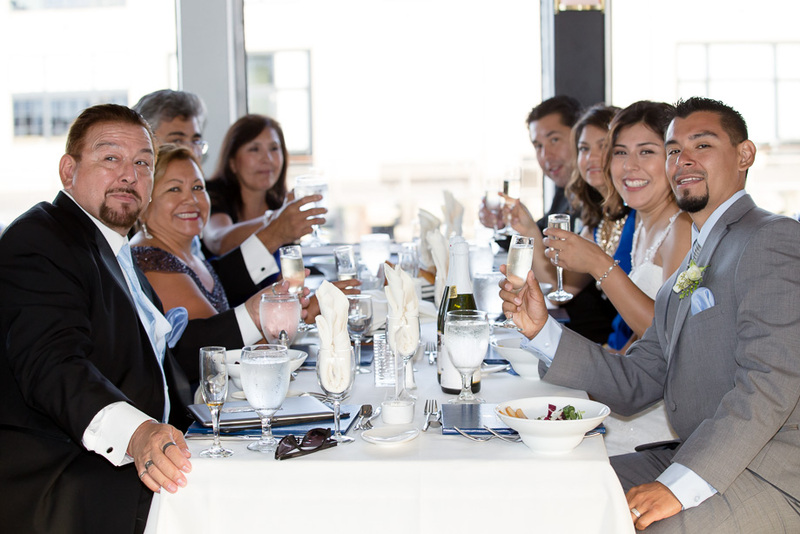 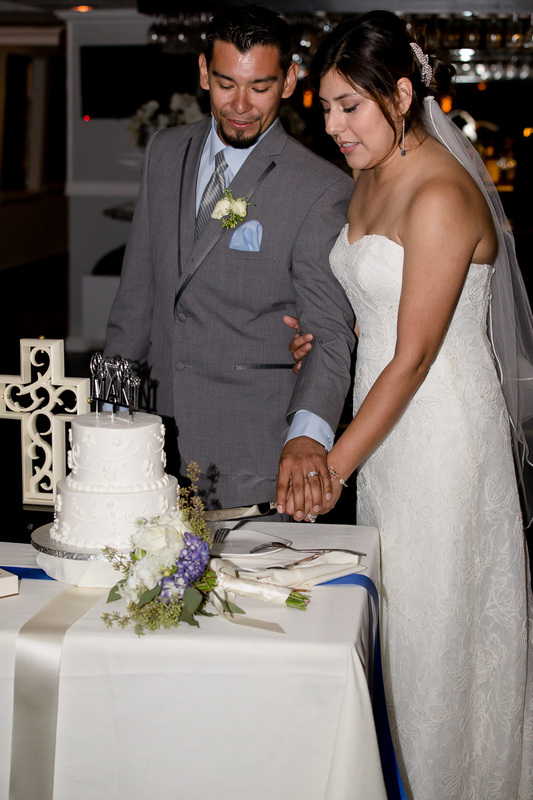 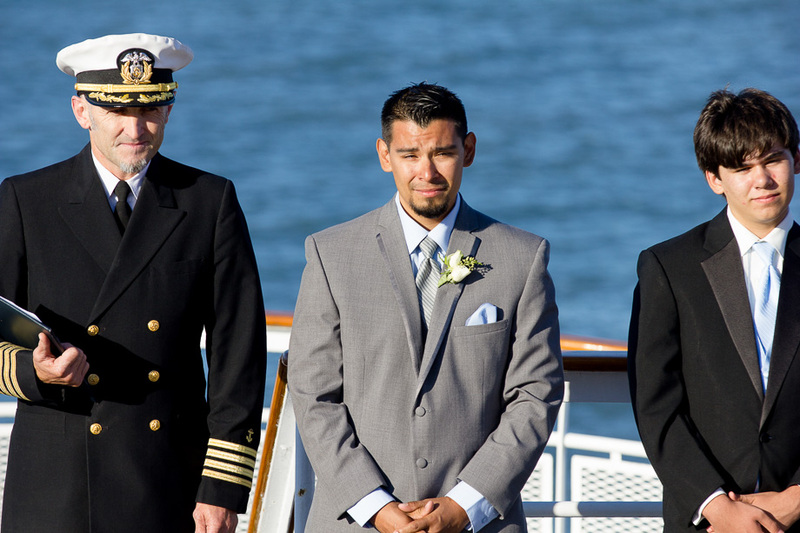 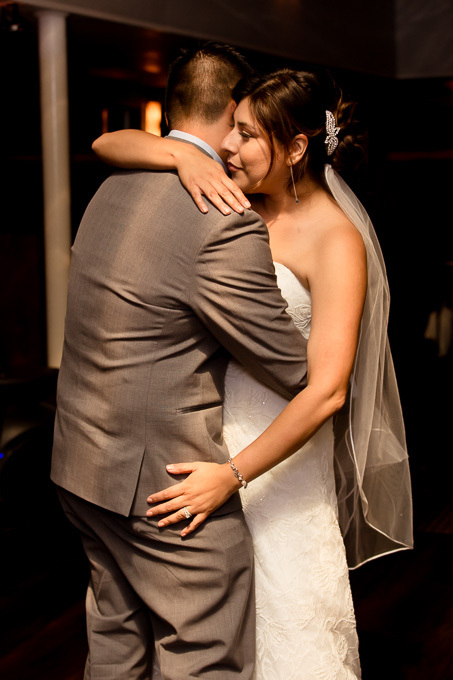 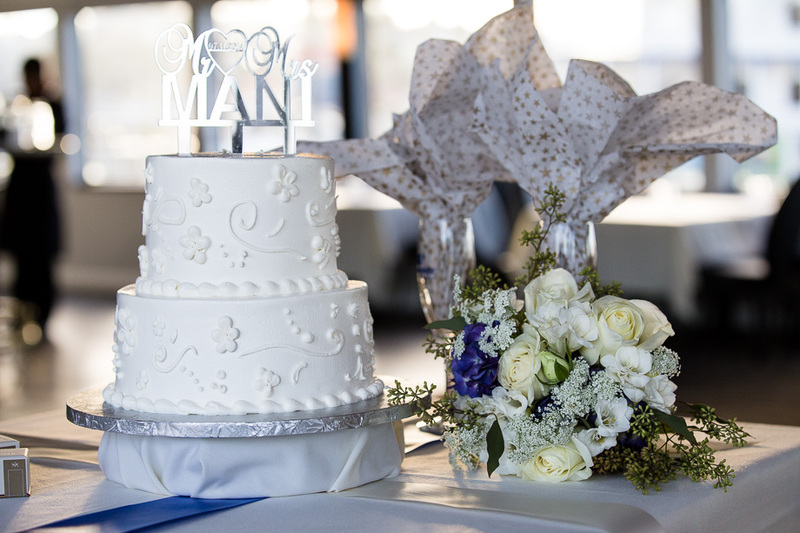 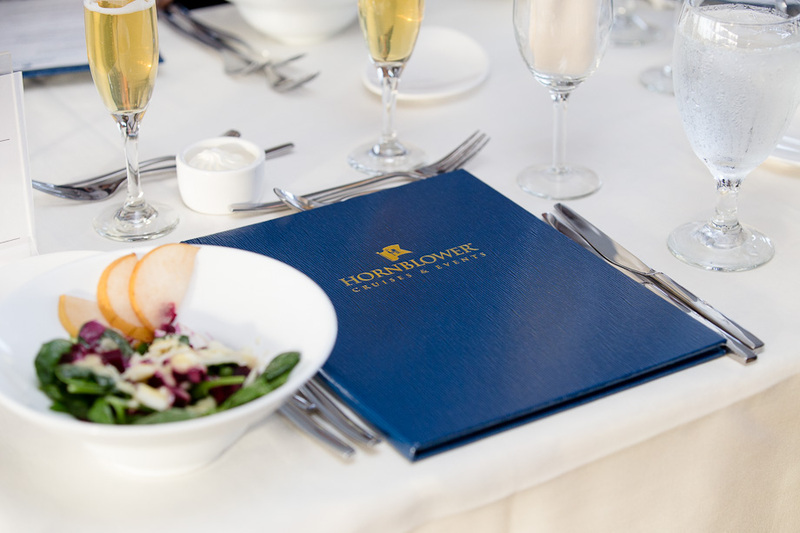 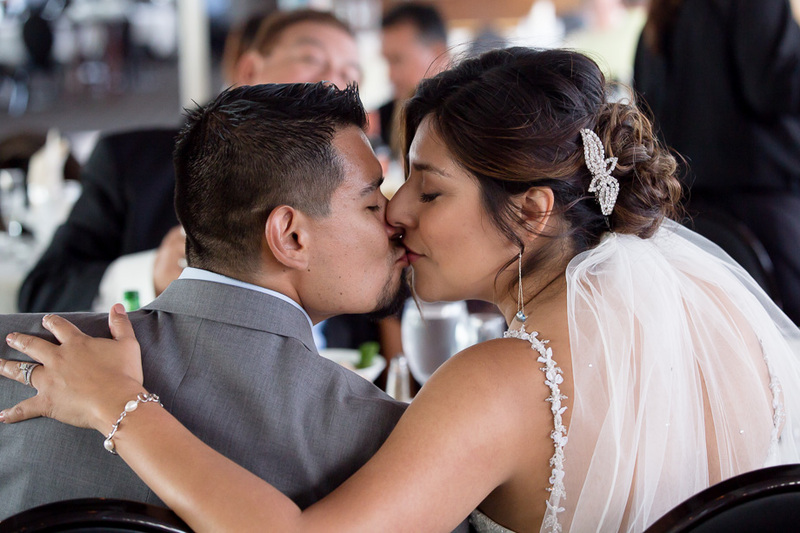 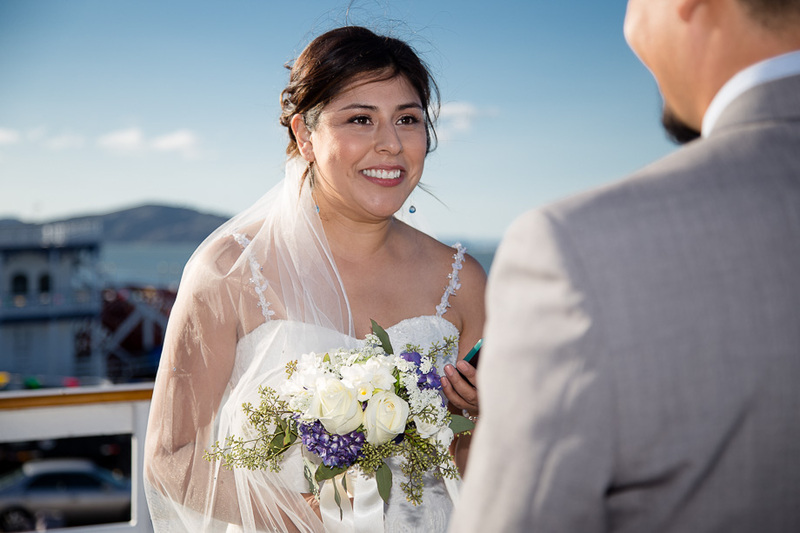 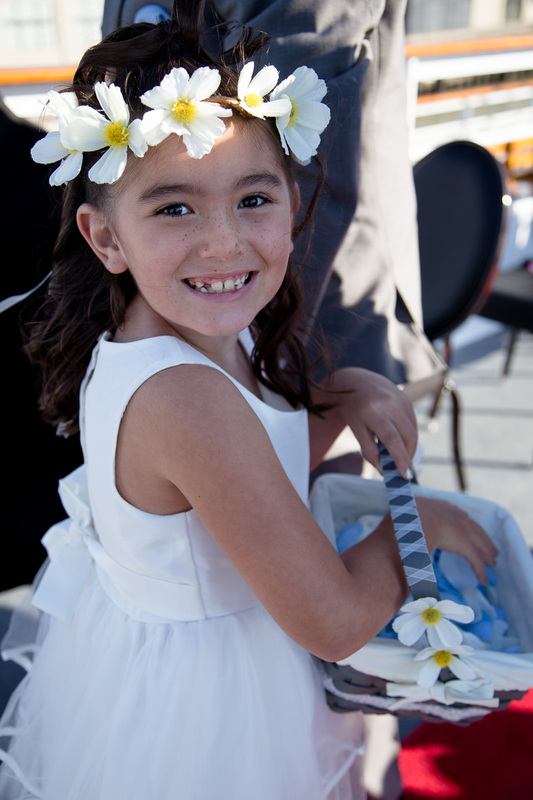 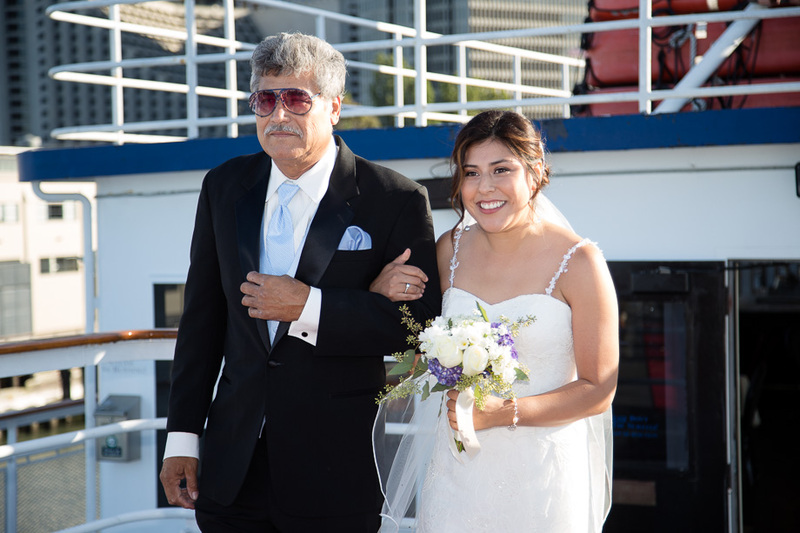 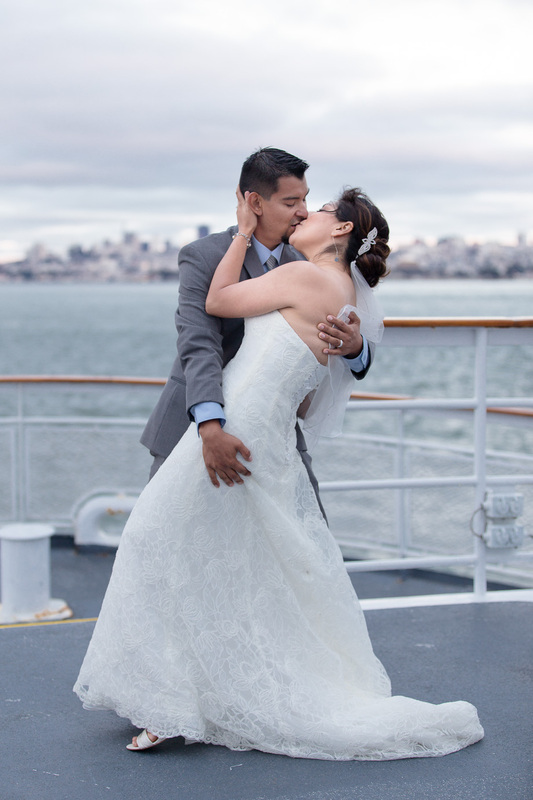 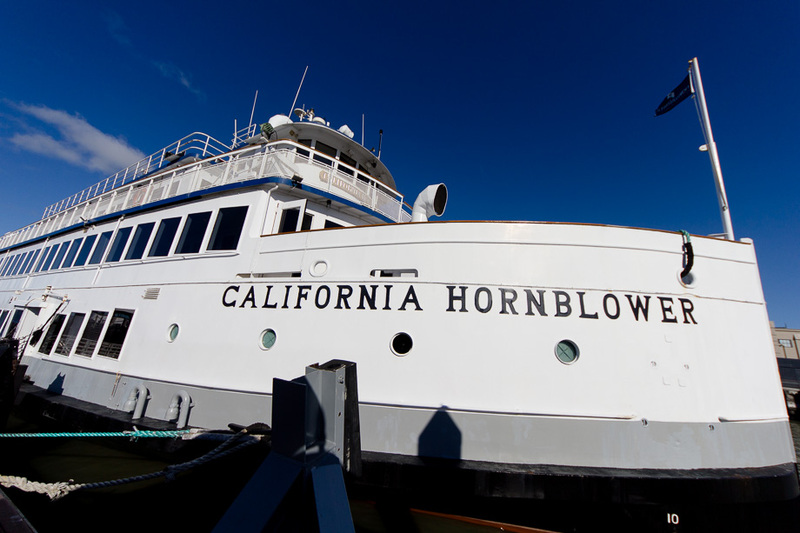 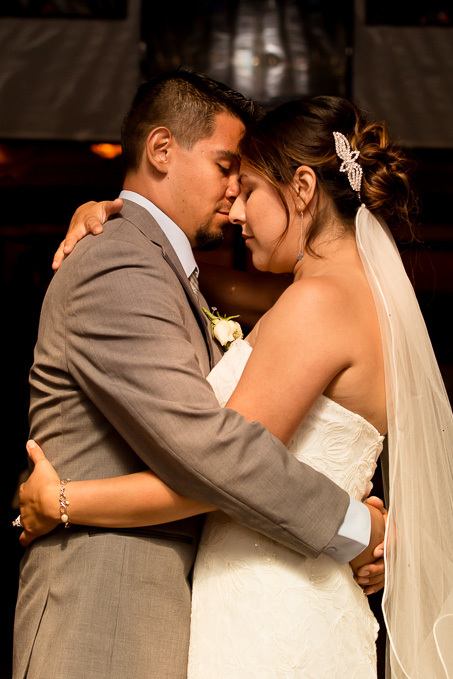 Nora and John had a very intimate wedding with their family as guests on board the California Hornblower this July as the cruise ship sailed around the San Francisco Bay visiting landmarks like Alcatraz Island and the Golden Gate Bridge. 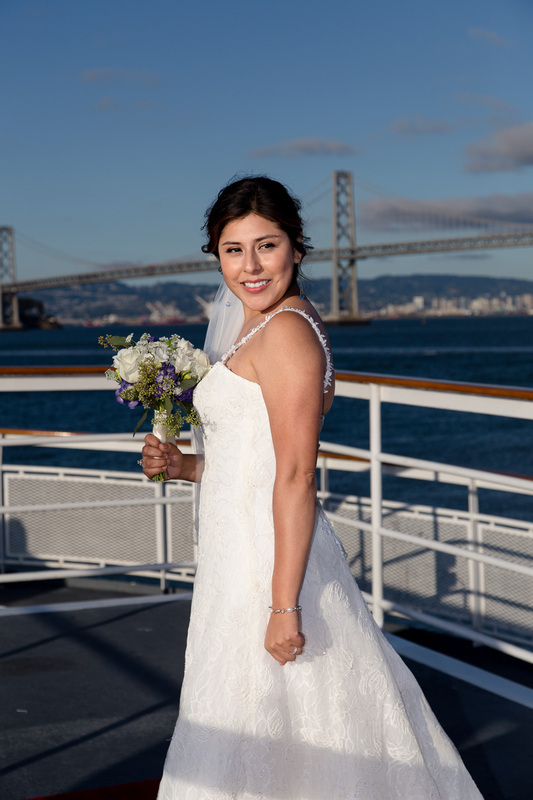 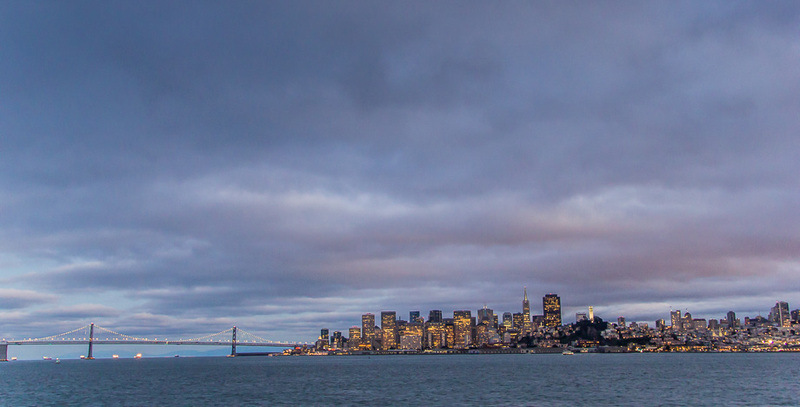 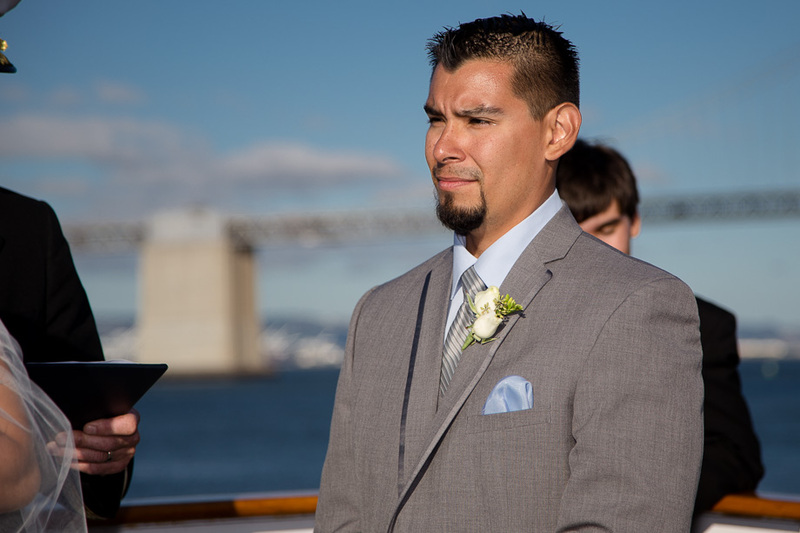 The weather that evening was excellent, and the fog didn’t roll in until after the ceremony was finished so we were fortunate enough to have the gorgeous Bay Bridge and skyline as the backdrop to the ceremony. 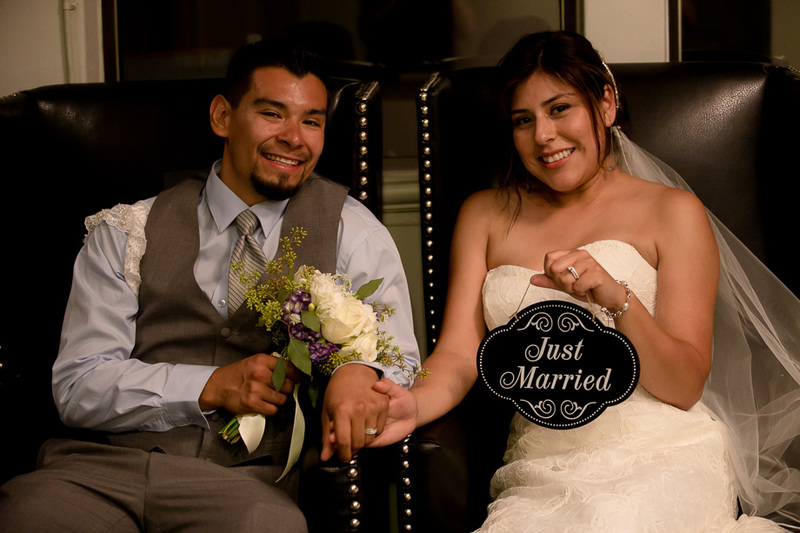 Congrats Nora and John!